There are not many better things on a back road trip than running into unexpected wildlife. There is an abundance of birds and animals to be discovered on the road. For me, my camera is always at the ready for the chance meeting of some interesting animal or bird. One such incident happened on a gravel road near Dell, Montana. I was on the lookout for bison as I drive along Ted Turner’s massive bison ranch. While stopped to look I heard a strange bird call that I had never heard and shortly thereafter a pair of large birds came zipping by. I got some shots, but wasn’t sure what I had until I got to the hotel later that night and discovered they were a pair of Sandhill Cranes, my first ever sighting of these glorious birds. Just a few years later in my own state of Kentucky I was able to track down a migration of 1000s of these magnificent birds. I actually came close to walking among their huge flock and they were flying all around me. Words can’t explain the awe I had. These birds migrate north back to their homes in Michigan and Wisconsin and fly through Kentucky in late January. They stop in the bounteous cornfields to eat the leftovers that remained after harvest. Chance encounters are always a thrill. On a morning drive in Grand Teton National Park on a snowy morning in March 2013, I caught a fox leaping in the snow out of the corner of my eye. The lovely animal stopped and stared at me as I sought to nab a shot. On another trip earlier this year, we were driving on a backroad in Arkansas when we saw a “field of white” ahead of us. Turned out to be a massive flock of migrating snow geese. There could have been 1000s of them here, much the same as the Sandhill Cranes I noted above. But it was such an unplanned surprise. Once again, camera was always at the ready, so I was able to get a few shots while still sitting in the van (though we had to go about a mile down the road to turn around and accommodate the photo shoot. Just like the snow geese, I happened upon a large flock of white pelicans at Andes Lake in South Dakota. I could see them from a distance and thought they were ducks. Of course, its not always about birds. There are plenty of opportunities in the high plains to come across America’s fastest animal, the pronghorn antelope. On trips through Montana and Wyoming I always saw these lovely sleek animals. Sometimes I got them right on the side of the road. I did have one lucky trip in 2013 when I was driving through Colorado and saw a mother and her two calves go jaunting through the tall grass. I was able to get a nice shot with my telephoto lens. A small family of pronghorn Antelope scamper across a field near Pulis Lane in Wilsall, Montana. The National Parks are always a great place to get some nice wildlife shots. I have been to Yellowstone three times in the past 5 years and have seen a nice variety of wildlife, but mainly its the bison that roam free that are a thrill. I was amazed at how huge some of these guys get. One that walked by my car was at least 7 feet tall. Elk are another great large mammal to look for. 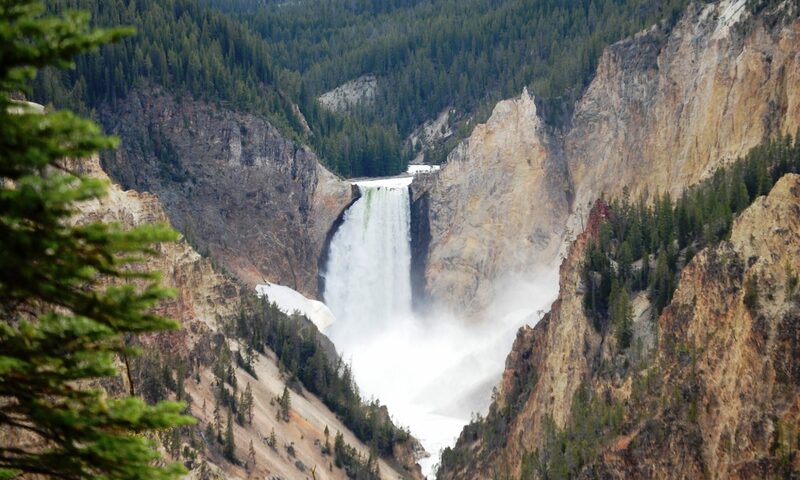 I have seen them in Yellowstone and Grand Teton, as well as some of the mountain drives I made. These are lovely animals. And, like the bison, are huge. The great culprit of car accidents and frequent recipient of roadkill awards are deer. These can be seen along highways everywhere both day and night. I recently made a trip to Shenandoah National Park and got some very nice shots of deer. I have many more from other places, but these are my best. Sometimes I make trips to find the wildlife myself. Such was the case recently on a visit to the fish hatchery near Cave Run Lake in Eastern Kentucky. I was in search of some of the bald eagles that hang around there. Found one! There have been more sightings recently of these lovely and regal birds. I have seen one or two almost every week at Jacobson Park locally and also have been able to see a nest with three adults and two offspring near Taylorsville Lake west of Lexington. My most favorite wildlife subject is the Great Blue Heron. These huge birds hang around lakes and rivers in Kentucky and many other places. I literally have 1000s of photos of them. Here are a few recent ones from Lexington. I have photos of these birds in Texas, Arkansas, Tennessee, Ohio and other places as well. I could post dozens and dozens of other photos, but I will only add a few other wildlife shots to this post from my travels. Christmas morning sunrise in Ocean City , MD and greeted by a dolphin in the foreground. Very nice photos. My wife was so excited to the the bison at Yellowstone. I actually did get some video and photos of that. How unusual for me. Awesome photos! I’ve seen Sandhill Cranes in Illinois!